Zig Ziglar once said, "You don't have to be great to start, you have to start to be great." thus, this is the perfect time for you to start learning your second language, and use this with no hesitation in your daily life. Here in Native Camp we will help you improve gradually. Kon'nichiwa! This is Bellya! And I will be your English teacher! I will help you conquer your doubts about learning English. In my class I am going to make sure that you're going to have fun while learning, I will encourage you to talk in English fearlessly, without minding your grammar, spelling, intonation or your pronunciation. Don't worry about committing mistakes because they will help you grow. I can't wait to see you in my class! Yoiichinichiwo sugoshite kudasai! 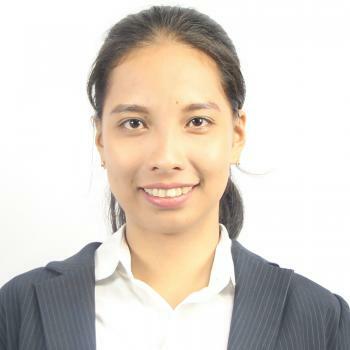 Teacher Bellya is a graduate of Bachelor of Elementary Education majoring in General Education at Philippine Normal University-Mindanao the National Center for Teacher Education in the Philippines. She's a licensed teacher. She is very enthusiastic, she will help you break the barriers in learning English, She will see to it that you're going to learn it in the most easy, interactive, and enthusiastic way, possible. She will encourage you to talk more in her class without interrupting you, but she's very keen when it comes to grammar, pronunciation, intonation, and spelling. But don't worry she will give the remarks later. Teacher Bellya really loves to share her knowledge to her students, she is also passionate in teaching, ensuring that all her students will learn something from her.